Barracuda on board. In my Valiant search for that “Little Surfer Girl”, I discovered a Barracuda instead. The auto industry tailors to many genres and cultures. Cultures within a culture are at times existing right under your surf board. So, if the year is 1964 and guys coast to coast have figured out that surfing nets a vast number of female introductions disproportionate to the rest of us regular car guys. Hauling babe-magnet boards became a must. But wait, those surf boards can get a little heavy, thus, the necessity of a vehicle. Oh no! The appropriate car for the surfer guy is not a car at all… it's a wagon! 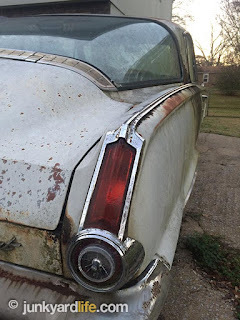 Station wagons are super cool to us now, but there were only a few cool exceptions way back then. If you were not at the beach, but seen riding or driving in a wagon, you may as well change your name to grandma. Oh no! Forget meeting girls in that. The stigma was real. This ’64 Barracuda has been owned by the same family since new. “But mom! I don’t want to drive your station wagon!” declared young men from Jersey to Baja. Equipped with a V8, push-button automatic, transmission and under dash air conditioning. You didn’t let me finish, Curl Rider. The small trunk opens up, panels lay flat, seats fold for the purpose of… wait for it… for which to put in a surf board. That is what Plymouth had in mind for their new trim level of the Valiant. Let us call it something cool with an aquatic nomenclature. The Corvette had already introduced the Sting Ray name in 1963 and even managed to compare themselves to sharks. Plymouth borrowed inspiration (notice the cool rear window) from the Vette. What else is quick and dangerous that swims? See the fun facts below to learn how Barracuda actually got its name. 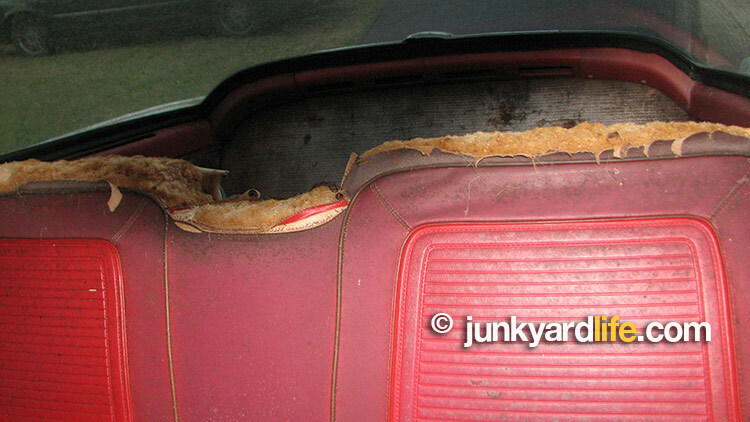 Barracuda’s expansive wraparound rear glass was known for cooking rear passengers in the sun. Here you go, Jan, Brian, and Dean, (no one specific, just common surfer names off the top of our heads) this is the car for you! The Barracuda could be had with a V8. 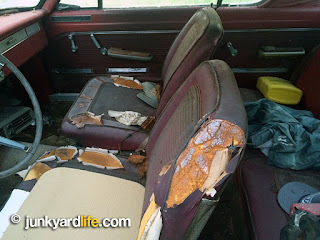 Bucket seats were new, sporty, and cool. The better to prominently display your surfer girl. You could have a manual transmission if you liked shifting duties or how about the new “Push-Button” Torqueflight automatic transmission to free you of shifting, leaving you more control of the volume of your Beach Boys tunes and flexing for your surfer girl. Now that sounds good. The performance and looks of first gen Barracudas didn’t strike fear into would-be racers. Well, in theory we could. Because we found this! A 1964 Plymouth Barracuda still in the possession of the son of the original owner! This car was not a surfer mobile. It was his mother’s primary car. She bought it new two years before he was born. They didn’t so much travel in it, for that they had larger cars, such as a Plymouth Wagon. The Barracuda was used for hauling kids and groceries as well as a plethora of domestic taxiing. 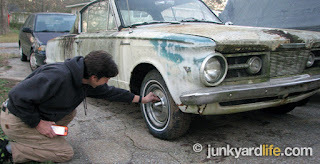 Jody learns that the lug nuts can be accessed through the 1964 Barracuda hubcaps. Just because no one ever yelled “cowabunga” in this car does not make it less appealing to us. It has that cool push-button automatic. It has no console, but it does have an awesome red interior with bucket seats, and its equipped with under dash air conditioning and wears original white paint. The paint reminds us of pearly white sand on the beach (editor’s note: Watch it, Ron). The Barracuda even has all of its spinner-style hubcaps, and a 273-cu. inch V8. What this Barracuda lacked in horse power and cubic inches, it made up for in style. 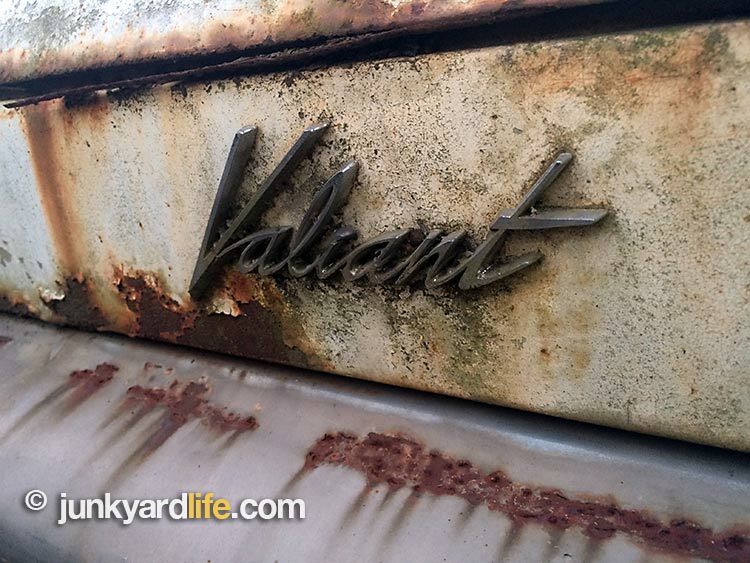 This Valiant had a lot of class for a Valiant. So much in fact, that Barracudas lost the Valiant badge after 1965. 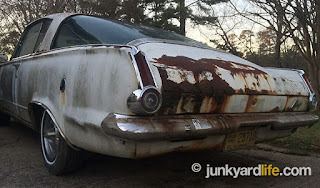 The owner intends to restore the car to fun levels and not to concourse levels. A low buck cruiser with a high fun factor. He wants to drive it again and connect the past with the present. We understand and love the car just the way it is! 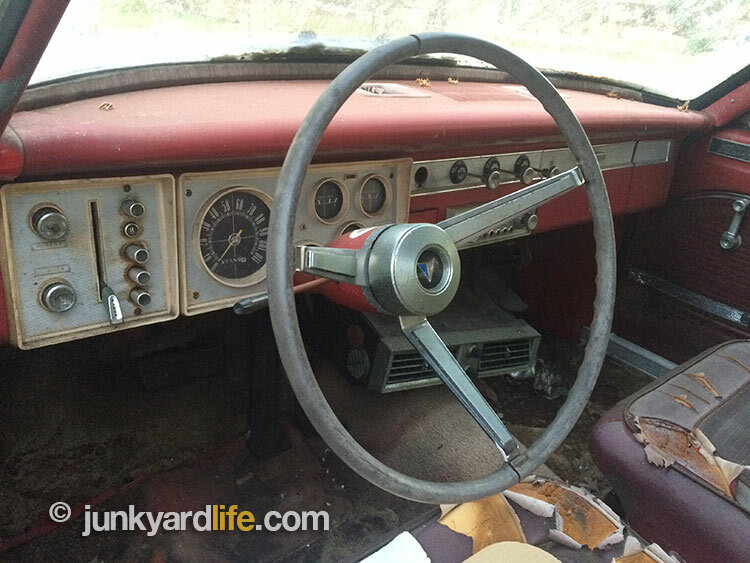 Detail shot of 1964 Barracuda push-button Torqueflight automatic transmission controls. 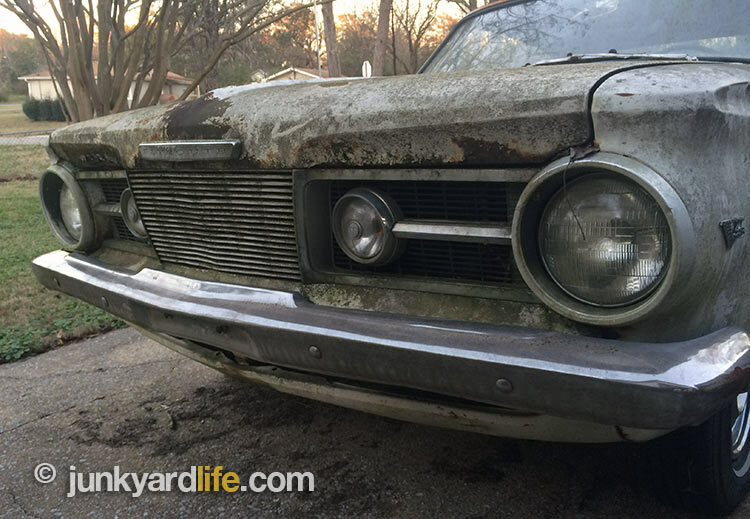 Despite the humble Valiant beginnings, the Barracuda evolved into one of the most feared beast of the muscle car era. The most-feared name on the streets almost had a wimpy name. “Panda.” The executives said, “Yes” – but the designers said, “No.” Thank heavens they stood their ground. Barracuda is no panda. Plymouth dropped the “Barra” and simply called this monster a “Cuda’” during the Detroit horsepower wars of 1969-1970. The words “Hemi Cuda’” instill fear in our insurance agents and make our tire dealers smile. The most desirable ’Cuda would be the 1971 Hemi convertible. Set apart by its shark teeth like grill and front fender gills. With only 13 units built in that combo, don’t look for one at any reasonable price. The Pony Car Wars had officially kicked off in Detroit. 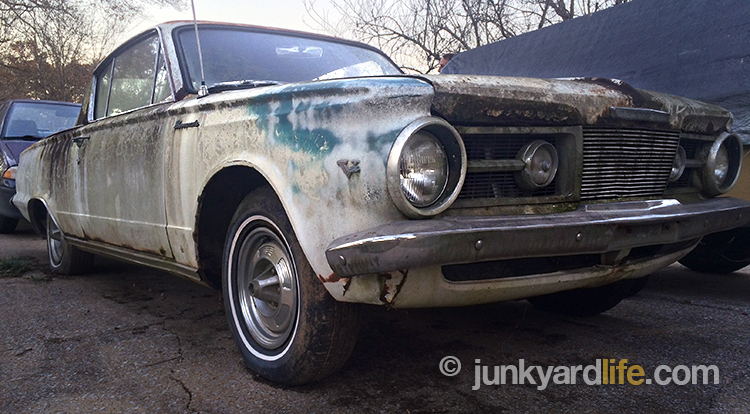 We don’t usually think of the 1964 Barracuda as a Pony Car, but it was. And right there at the beginning too. Ford wasn’t worried. Even with the Mustang’s late 1964 introduction, they still outsold the daylights out of everyone. But what about the surf boards? Surfer guys were often car guys too. Though the Beach Boys did not specifically mention a Barracuda; they do make reference to a Super Stock Dodge with a 413 lining up on the street with Brian Wilson’s 327 4-Speed Fuel Injected Corvette in their car guy rock favorite “Shut Down”. The song forever immortalized the most famous street race of all time. Our feature car was equipped with a 273 C.I.D V8 drinking from a 2-barrel carb. One more year model (1965) could have been had with a 4-barrel and would have been called “Commando”. This weathered Barracuda spent 50 years in the New England states before making a new in Alabama. The Barracuda’s back glass had the distinction of being the largest ever produced in 1964. 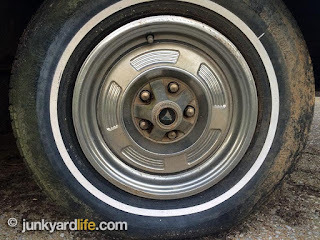 Lug nuts peek through the Barracuda’s hub caps. Original, red, bucket seats are showing a bit of wear after 50-plus years. 1964-1966 Barracudas came in any style you liked, as long as it was fastback. 1967-1969 Barracudas were available in notchback, convertible, and fastnack models. 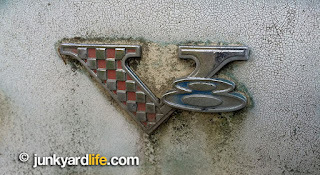 Go fast checkered flag hidden within in the V8 emblem on the 1964 Barracuda. The ’64 Barracuda was based on the Valiant model. 1964 was the final year that a Valiant emblem appeared on a Barracuda. 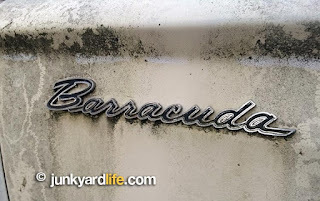 Plymouth had a fierce debate over the naming of the Barracuda. 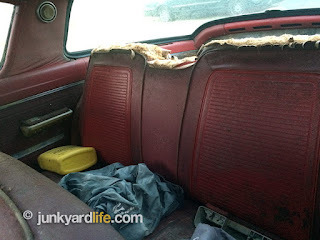 Passengers felt like they were under a heat lamp if they rode in the rear seat of a 1964 Barracuda during hot, summer months.